Elizabeth Ayers works from her studio in Wimpstone, 5 miles from Stratford upon Avon. 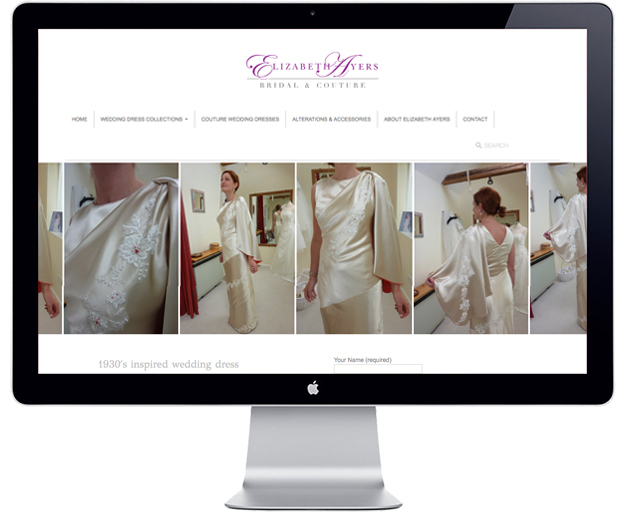 She has excellent knowledge and experience with nearly 30 years of experience in the bridal wear business. Over the years she has supplied many shops including Liberty of London and Harrods, being the best-selling designer and short listed for the Brides magazine “New Designer of the Year” in 1989. 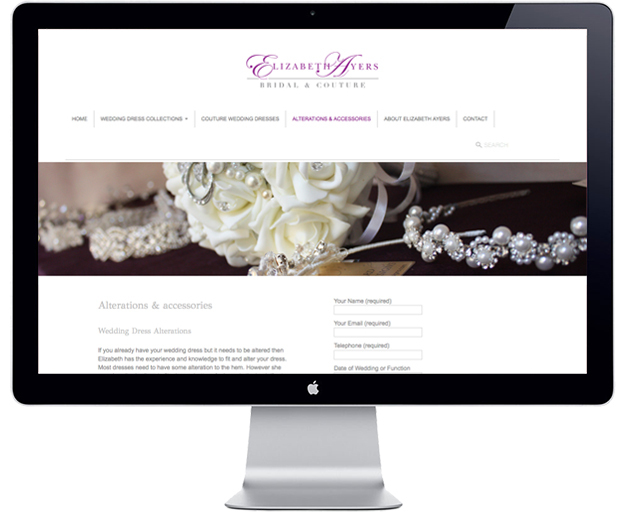 She came to us for a stylish new responsive website; something that reflected her level of expertise and to bring her online look up to date. 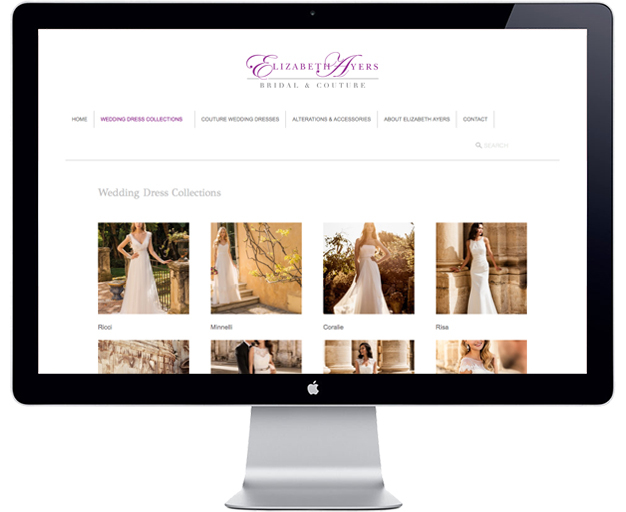 We provided her with a web design that made her stand out from her competitors in terms of style, content and layout. As part of the web design package we gave her a tutorial on how to use her new WordPress site. 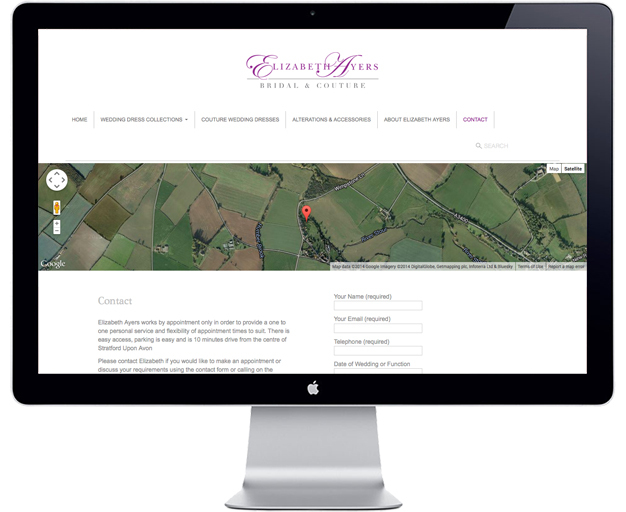 We now provide ongoing Search Engine Optimisation services, create banner images and upload new content for her on a regular basis. To visit her site, click below. 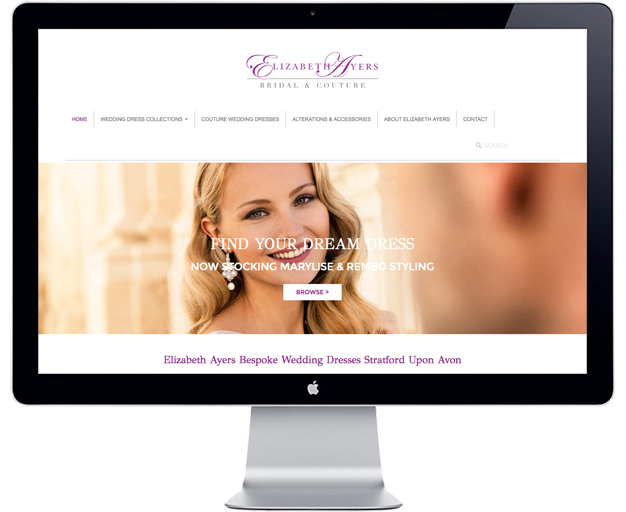 The Elizabeth Ayers website was designed with Emblime Design.